This dyno chart is a comparison between a bike equipped with dual carbs and one that has the KJS Single Carb System. This chart is relevant for all models and sizes for both Yamaha V-Stars and Viragos. 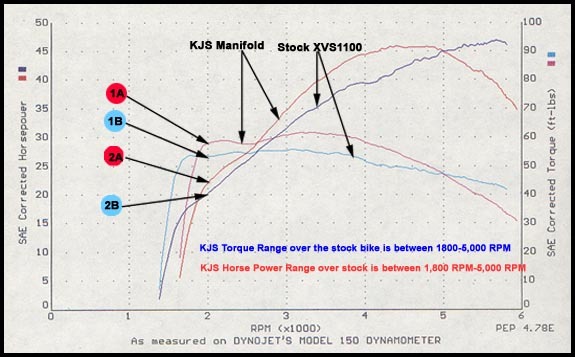 We sincerely hope that these dyno graph results will show you the significant performance increase you can expect from your bike after installing the KJS High Performance Intake Manifold system.